I love eating desserts….but I’ve never really MADE desserts. When I was a kid, I used to make blueberry muffins with my mom. Of course, half the batter would’ve been devoured by yours truly prior to baking. 🙂 So, today…I opt to venture out and make a dessert….in a crockpot. A very simple recipe that yields fabulous results! People won’t believe this came out of a crock pot! 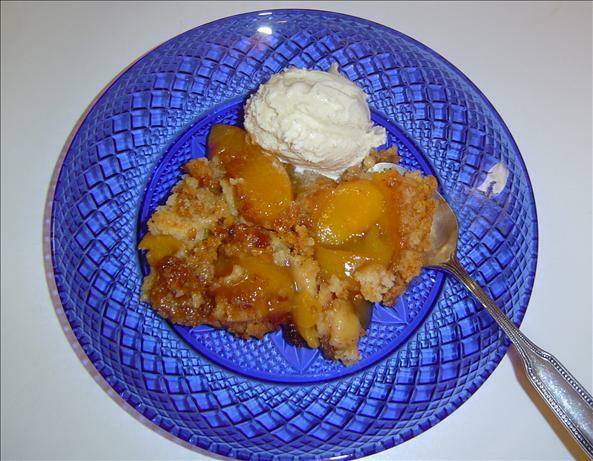 Lightly grease the slow cooker/Crock Pot; place peaches in the bottom. Drizzle with vanilla and sprinkle brown sugar over all. Sprinkle with cinnamon then cake mix. Drizzle melted butter evenly over cake mix. Cover and cook on high for 3 to 3 1/2 hours. I cooked up this recipe last night and took it out of the crockpot this morning. The chicken fell off the bone! It was incredibly moist and easy!!! Here’s my pics…. 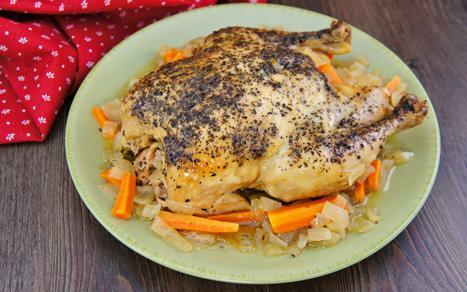 A whole chicken in the crock pot is a simple main dish that can be served with anything. This recipe isn’t fancy, but it is tasty! 1. Spread carrots, celery and onions evenly into the bottom of the crock pot. Place the whole chicken on top. 2. Slowly pour the chicken broth over everything. Season with garlic powder, salt and black pepper. 3. Sprinkle basil on top, crushing the dried herbs between your fingers as you do (this releases more flavor). 3. Cover and cook on low 7 to 9 hours, until chicken is no longer pink inside.